« What’s the Cost of Orange Construction Drums? Other Traffic Products? When we get customers that want their products shipped internationally, they typically have done it before and understand the process. But this is not always the case, sometimes it’s someone at the company that hasn’t imported an item before or the company has never done it before. It’s important to understand what’s needed to successfully ship an item overseas otherwise extra fees can occur. The first order of business is to figure out if you want your products to go to a freight forwarder who will help import the items into your country. Most customers outside of the country (excluding Canada) have me ship to a freight forwarder in Miami or Long Beach, CA. 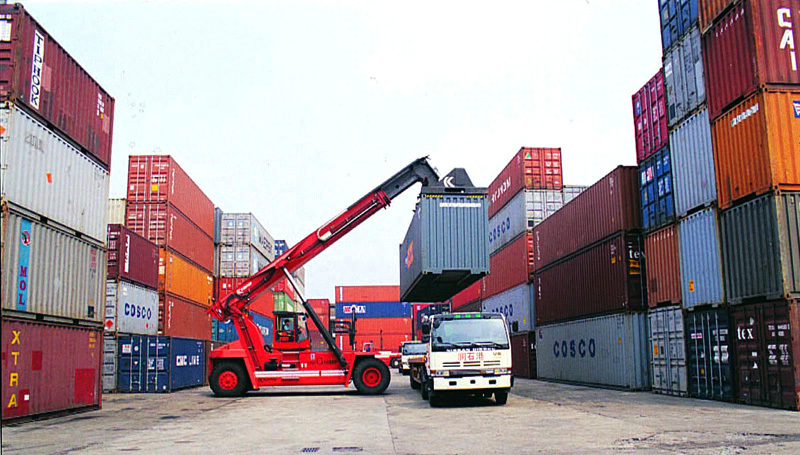 You will have to pay this forwarder for their services, but it can help diminish the amount of headaches involved. Tip: make sure the supplier you are ordering from includes your company name somewhere on the address, ATTN: Your Company Name will help avoid confusion as to who’s shipment is it over at the forwarding company. The second order of business is to make sure all your paperwork is in order. I would include three different copies of all paperwork normally included in your order. This could be the invoices, bill of lading, packing lists and more. Certain countries will make it harder to pass customs if you don’t have the proper information on an invoice. For example, not stating the origin of the ‘material’ was a real problem with one country I was shipping to. The customs fees and taxes incurred from importing product typically comes right as the product is being imported so you are usually not pre-paying for this as you would for shipping charges. How much you pay will depend on the value of the goods, the country of origin of the goods, and the type of goods. It’s worth doing a quick search online to see what you are going to pay because no one likes a surprise when it comes to a bill! For any other questions regarding the process, give us a ring (413) 281-6393 or contact us through our site www.trans-supply.com. This entry was posted on Wednesday, November 6th, 2013 at 6:46 pm	and is filed under Airport Safety, Traffic Safety, Transportation Safety. You can follow any responses to this entry through the RSS 2.0 feed. You can skip to the end and leave a response. Pinging is currently not allowed.